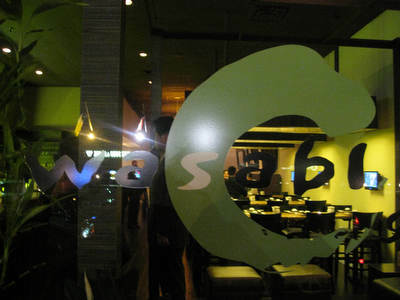 Locations, Wasabi in Nyack and Wasabi Sushi in New York, NY. 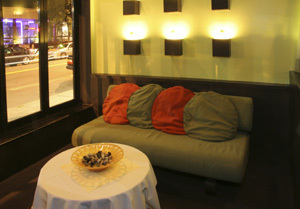 You'll find Wasabi directly in the center of the action and totally in the swing of the town of Nyack. Close to New York, a few minutes off the Tappan Zee, the area has long been a mecca for great restaurants and a lively food scene. While you'll discover that there are lots of great eateries in this exciting little town, there is only one world-class Japanese restaurant, Wasabi. As a renowned destination for sushi, Wasabi's fish are the freshest possible, arriving directly from the Hunt's Point Market, less than 30 minutes away, allowing them to reach your table in perfect condition. 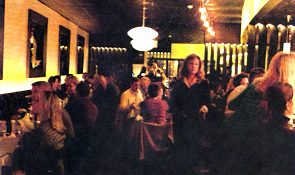 But Wasabi is more than just food, it's the focus and centerpiece of Nyacks' late night party scene and bar culture. Come early for the food, stay late for the excitement! 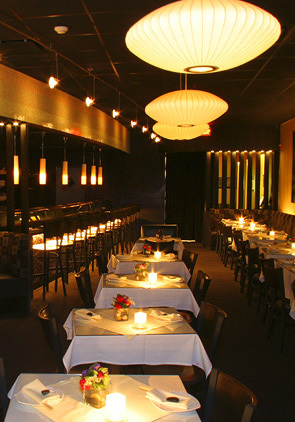 According to LoHUD Critic Liz Johnson, Wasabi sushi is fun! 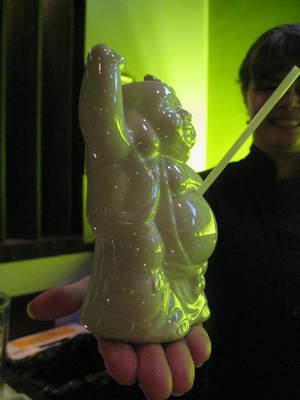 "Chef-owner Doug Nguyen, who also owns Wasabi in Nyack, brings a modern twist to hibachi. 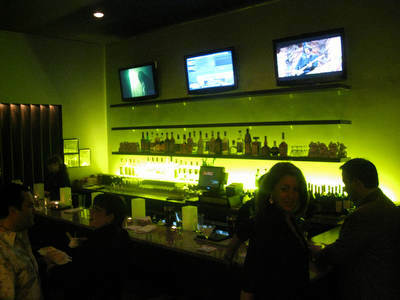 Cool green tones, a backlit bar and clean lines make for a sophisticated atmopshere, yet the menu and the prices are family friendly. 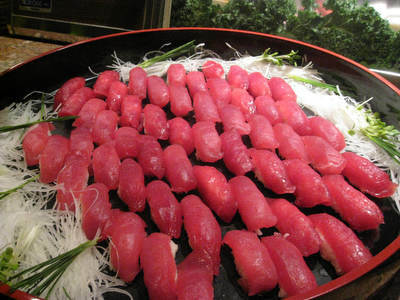 The hibachi grill is behind one half of the sushi bar, so you can watch as chefs flash-grill shrimp, chicken, beef and pork for bento boxes and as sushi chefs assemble the maki rolls. 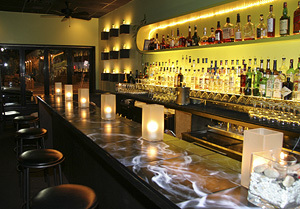 The bar has cocktail list (mai tais, zombies) that would make Trader Vic's fans happy." 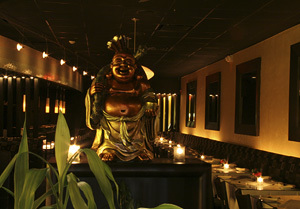 Wasabi Sushi is unequalled in its reputation for great food at lunch and dinner, its chic interior and overall coolness. A large sushi bar and several sushi chefs provide the freshest sushi and sashimi, and Chef Nguyen's innovative menu sparkles with exciting new twists on Asian standards. 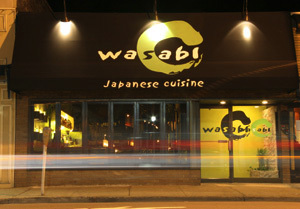 Wasabi Sushi is always in every local magazine's "favorites" list and customer responses range from "Yum, YUM!" to " A very satisfying experience, I'll be back from New York often!"